HP, the American tech giant has recently launched a new portable photo printer in India. 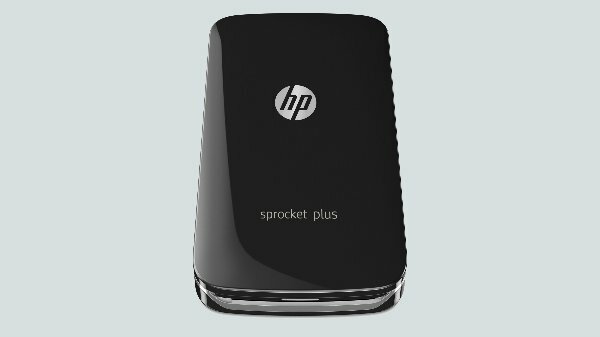 The company has unveiled the HP Sprocket Plus printer in the country at a price tag of Rs 8,999. The new portable photo printer is claimed to be the world’s thinnest photo printer available in the market. The HP Sprocket Plus printer can print 30 percent larger photos with a dimension of 2.3-inch x 3.4 inches. This is more than the size of photos that were printed by the first generation of HP Sprocket printer. The printer uses HP ZINK paper to print the photos. As for the pricing, the HP ZINK paper will retail at RS 799 for a pack of 20 papers. The HP Sprocket plus can be connected with mobile devices and is compatible with both the Android and iOS platforms. Users can also print the photos from social media platforms directly. As mentioned above the photograph can print photographs of size 2.3 x 3.4 inch via HP’s ZINK technology. The printer delivers water-resistant, tear-resistant and smudge-proof photos without using any ink or toner cartridges. Also, the ZINK paper comes with a peel-and-stick rear with which you can use the printed pictures as stickers. The HP Sprocket plus also comes with a new feature dubbed as “Embedded Experience”. This feature can print photos with a masked watermark that reveal the additional content when a user is viewing the photos via the App. In addition to this, you also get various filters, stickers, emojis and text borders with which you can customize your photos.